Last year, we reported on the rapid rise of bike-share schemes around the world. Since then, bike-sharing has continued to grow in its existing strongholds, while new schemes have been launched in places as varied as Lisbon and Detroit. But the nature of bike-sharing has also undergone dramatic changes, with some welcoming the new developments, and others branding them a public nuisance. The most significant change has been the rise of dockless bike-sharing schemes. Over the past four years, two companies – Ofo and Mobike – have transformed bike-sharing in China, enabling people to rent a bike simply and quickly with the aid of a smartphone app. There are no pick-up or drop-off bike stations; cyclists simply find a bike using a GPS locator, pay and go. When they’ve reached their destination, cyclists can leave the bikes wherever they please. Ofo, Mobike and a growing number of rivals have revolutionised transportation in China. Half the population of Beijing – 11 million people – have registered for the schemes; across the country, more than 100 million bike-share apps have been downloaded. The success of app-driven bike-sharing schemes in China means they are now cropping up elsewhere in Asia, as well as in Australia, Europe and North America. But the new schemes have also generated problems. In Shanghai, where there are now over forty bike-sharing companies, bikes have been abandoned in large numbers outside subway stations and office buildings, clogging up pavements and creating what locals have called “a new generation of trash”. Elsewhere – from Melbourne to Manchester, Sydney to San Francisco – the sudden appearance of hundreds of bikes on the streets (sometimes without the permission of the local authority) has been met with mixed reactions. For cyclists looking for a truly door-to-door service, the new schemes offer convenience and flexibility. However, instances of theft and vandalism have highlighted the negative impacts of dockless schemes. Within a month of Mobike launching its bike-share scheme in Manchester, images of damaged bikes started to appear on social media, and at least two bikes were dumped in a canal. Similar incidents have been reported elsewhere in the UK, as well as in Australia, the United States and Spain. Cities have been on a steep learning curve in coming to terms with dockless bikes, and there have been some very different responses. Shanghai, Beijing and Amsterdam have taken a hard line by banning new dockless bike-share services. In London, Wandsworth Council impounded more than a hundred bikes, claiming that they were causing obstructions and blocking parking spaces, although cyclists using the scheme argued the move was excessive. Other cities have introduced new regulations on dockless bike-sharing. In September, Transport for London published a dockless bike-share code of practice outlining requirements for operators. 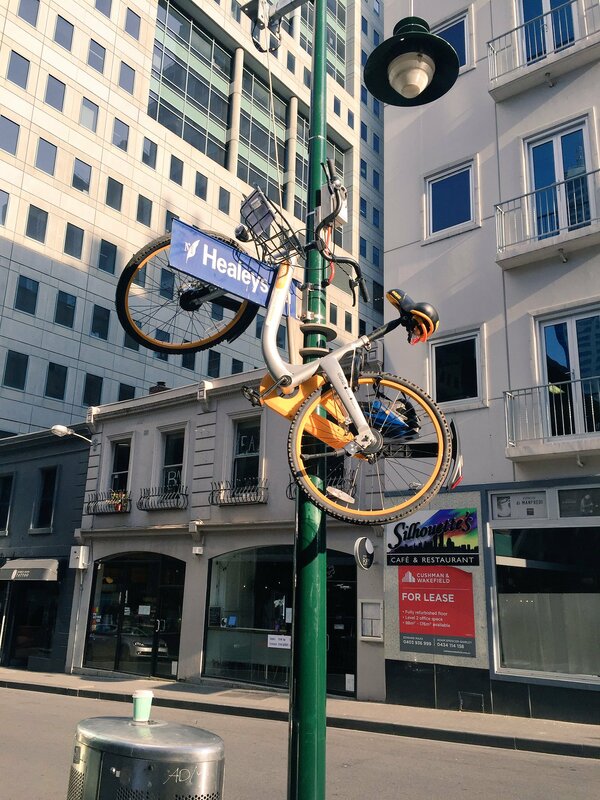 In Australia, three Melbourne local authorities have signed a memorandum of understanding (MOU) with dockless bike share operator oBike. The terms of the MOU require oBike to ensure their bikes do not obstruct access and to relocate any dangerously parked bikes. The dockless bike-share companies themselves have been learning the lessons of early teething problems. The Platform for European Bicycle Sharing and Systems, which brings together bike mobility companies across Europe, has prepared a policy framework which aims to guide cities through the process of implementing a new bike sharing system. Other companies have turned to technology. Urbosolutions and oBike are among those bike-share services now providing local authorities with a “geo-fencing” option. This enables councils to designate zones where bikes may not be parked. Bike-share users entering a geo-fenced area are unable to lock their bikes until they move outside the zone. Cyclists who fail to comply will incur penalties. The explosive growth of dockless bike-share services has undoubtedly benefitted city dwellers looking for flexible, affordable, sustainable and healthy transportation options. But as bike wars heat up among operators, and between bike share companies and local authorities, cities need to develop new regulatory frameworks for the smooth management of bike-share schemes. At the same time, the operators need to rethink how their businesses work. As for the future, bike-sharing will continue to evolve, with forecast developments including payment for bike rentals using cryptocurrencies, the launch of dockless electric bikes and continued expansion into new territories. Top of the world: why is Melbourne the ‘most liveable city’? For six consecutive years, Melbourne has been ranked the ‘most liveable city’ by the Economist Intelligence Unit (EIU). In the 2016 liveability survey, the Australian coastal city and state capital of Victoria achieved an overall rating of 97.5 (out of 100), narrowly beating Vienna (97.4), Vancouver (97.3), and Toronto (92.9). The study assessed over 30 indicators, across five broad categories: stability; healthcare; culture and environment; education; and infrastructure. Each of these categories is weighted differently, so some indicators are valued higher than others. For example, the prevalence of crime is weighted higher than the availability of good quality housing or private education. Melbourne’s overall score hasn’t changed since 2011, when it took the top spot from Vancouver. It’s also consistently received perfect scores for education, healthcare and infrastructure. Why is Melbourne such a liveable city? Laurel Johnson, an associate lecturer at the University of Queensland School of Geography, Planning and Environmental Management, highlighted that the city’s size is an important factor. She observed that there are very few other major cities that allow residents to have a home with a large garden within commutable distance to their professional jobs. In her view, the city’s ‘low population density, range of housing options, culture and focus on green spaces’ explains why Melbourne’s ranks so highly on liveability. Spiros Alatsas, from the Victorian Multicultural Commission, said that diversity is one of the state’s biggest strengths. With more than a quarter of Melbourne’s population born overseas, it’s unsurprising that the city has a wide variety of cultures and cuisines. In the state of Victoria alone, more than 260 languages and dialects are spoken, with people coming from over 200 different countries. 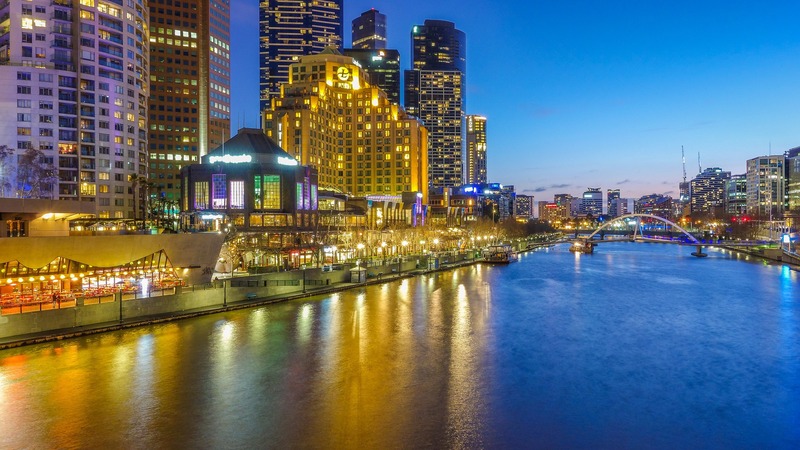 Melbourne also has smart city ambitions, and has already introduced projects which use data and digital technologies to meet the changing needs of its residents. This includes creating CityLab, a space where innovative ideas and services can be tested and introduced into communities. The lab takes a human-centred design approach and involves working with the users of new services from an early stage. A recent idea which came from a ‘Hackathon’ hosted by CityLab was the ‘internet of trees’. This idea evolved into the Urban Forest Visual, a website which provides real-time data on the city, and helps provide a better understanding of issues such as the health of plants and trees. Participate Melbourne – a website which highlights new projects and allows residents to provide their views. Recent discussions underway include the developments of a new skate park. Smart little bins – the solar-powered bins compact rubbish as it’s collected, which reduces the number of waste collections that need to be made. 24-hour pedestrian counting system – sensors are used to measure the activity of pedestrians, and therefore how residents use the city. This insight helps the city meet the needs of residents. Is this the full story? There are many who doubt the liveability credentials of Melbourne. Dr Alan Davies, a principal of Melbourne-based economic and planning consultancy, Pollard Davies Consultants, questions the validity of the EIU’s assessment. He argues that the EIU is less concerned with how ordinary people live and is more a guide for international companies on how they should pay senior executives working on assignment in other cities. As an alternative, Dr Davies suggests that the ‘spatially adjusted’ most liveable cities index (also created by the EIU, with partner BuzzData) is more accurate, as it considers the lives of permanent residents and issues such as the urban sprawl and connectivity. Using this index, we see that Hong Kong is number one and Melbourne doesn’t make the top ten. There is also a place for European cities such as Amsterdam, Berlin, and Stockholm, who are largely underrated by the EIU liveability survey. Michael Buxton, Environment and planning professor at RMIT University, also emphasises that the survey’s principal purpose is as a comparator of cities for highly mobile professionals. However, he also provides further detail on the challenges the city faces. For instance, he argues that many of the new high-rise developments are poorly constructed and will be unliveable ‘within a generation’. And although the public transport system is extensive, it performs badly when compared against international standards. Alienation is another concern for Professor Buxton. He suggests that dense high rise developments have an alienating affect for residents. Similarly, low-income residents, who are being relocated to poorly connected suburbs, are experiencing a sense of alienation. Professor Buxton also offers an alternative liveability index, the ‘Mercer Quality of Living Rankings’. This again uses its own criteria – although focusing on similar issues such as economic and political environment. In 2016, Vienna was top of this index, with Melbourne ranking 15th behind southern hemisphere neighbours Auckland, Wellington, and Sydney. Although these international indexes are subjective, and unlikely to find a single ‘most liveable city’, they do have their purpose. Liveability surveys are a useful tool for encouraging debate amongst citizens, academics, and politicians. They also help to generate interest in cities, attracts tourists and skilled workers, and encourage investment. Follow us on Twitter to see what developments in public and social policy are interesting our research team. If you found this article interesting, you may also like to read our other articles on cities. 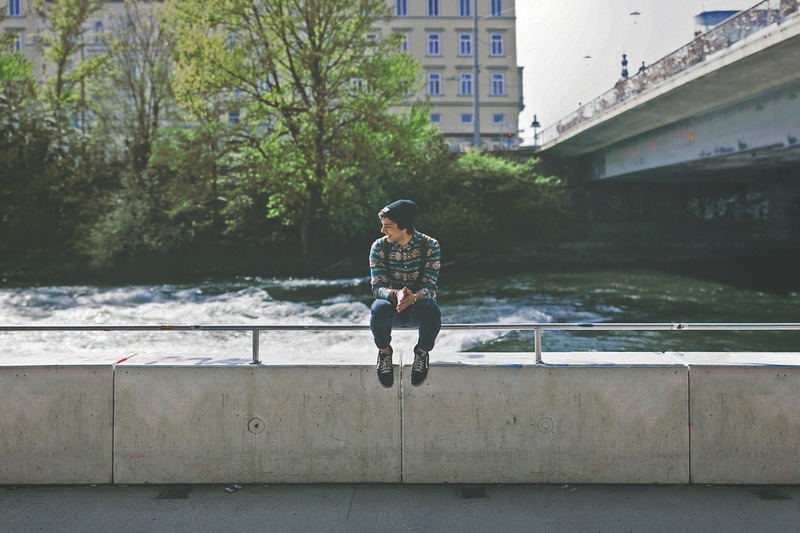 How do young people feel about the places where they live? And how do the spaces available to them, constrain or shape their activities? Last week, Margaret Robertson, Professor of Education at La Trobe University in Melbourne presented a seminar at the University of Glasgow which explored these questions. The event was hosted by Glasgow University’s Urban Big Data Centre (UBDC), in collaboration with the Centre for Research & Development in Lifelong Learning. Margaret has long-standing research interests in youth studies and cross-cultural differences, and a particular focus is on “student voice” and young people’s views and visions of their future lifestyles. She began with an overview of Melbourne, whose population of 4 million is being swelled by 2000 new arrivals every week. This growth, she explained, is pushing the urban fringe further and further out, and this movement is transforming Melbourne into a global city. At the same time, Margaret pointed to dramatic changes in the cultural landscape, largely due to increased mobility and technological advances. These changes are presenting particular challenges to young people, many of whom are using travel and social media to create their own “social spaces”. This “pop-up” culture can include everything from websites to impromptu skateboard parks. Large houses with small backyards create ‘sedentary landscapes’ for children. Youth mobility is diminished with cars increasingly used for children’s travel. Transport issues, especially in outer suburbs of cities contribute to a loss of independence for young people. She explained that her findings underline the importance of personal space and special places in the lives of young people. Above all, Margaret stressed the importance of giving young people a voice – and a real voice, not a token voice. Only by asking young people for their views, she argues, can local and national government learn to encourage the creative, entrepreneurial youth counter-cultures now possible through increased mobility and technology. Margaret’s wide-ranging and well-informed presentation offered plenty of food for thought, although she stressed that part of the researcher’s journey was to acknowledge that there are no clear solutions to the problems affecting society.